Nepean High School was opened in 1963 and has a strong tradition of academic and sporting success. From 2010 our school became a specialist high school for the Creative and Performing Arts (CAPA) and continues its proud tradition of being an outstanding comprehensive high school for its local community, with a Special Education Unit for students with disabilities. Nepean CAPA High School and the NSW Department of Education are committed to success. An excellent curriculum program at Nepean ensures students develop as successful learners, creative and confident individuals and active, informed citizens. Our school caters for students with a diverse range of abilities, interests and needs. It provides high quality teaching and learning programs delivered by a committed, experienced and caring staff well supported by its local community. Our school enables students to achieve to the best of their ability academically, culturally, in the area of sport and creative and performing arts. A broad range of extra curricula activities and leadership opportunities enables students to become active informed citizens. At Nepean we believe that each student brings unique talents and interests that must be engaged and nurtured for success. The school's motto ‘Aspire the Heights' means realising ones potential. This is achieved through a student's willingness to work hard, take risks with their learning, improve and broaden their skill set, work with and support others and have high expectations of themselves and others. Our core values of Care, Opportunity and Success enable us to promote and celebrate all that is great about Public Education. Nepean offers gifted and talented students from Western Sydney the opportunity to access specialised education in the Creative and Performing Arts. Your child can become a part of the creative and artistic resurgence that is helping to build a culturally rich environment in Penrith and greater Western Sydney. All students have the opportunity to audition into the areas of Circus, Dance, Drama, Music and Creative Arts. In Year 7 students are able to audition into one main area of study within CAPA. Successful students will experience five periods per fortnight of their auditioned subject within a purely auditioned class. Students will then carry this subject through from Stage 4 (Years 7 and 8) into Stage 5 (Years 9 and 10) thereby developing their performance and academic skills consistently through junior high school and preparing them for senior high school. Students in Year 8 have the opportunity to select two electives and students in Years 9 and 10 have the opportunity to select three electives to study. CAPA students also have the opportunity to audition for a number of ensembles and companies that rehearse throughout the school week. An online Expression of Interest form is available on the school's website for CAPA enrolments. Please go to the Enrolments tab on this website for information and to view application closing dates and auditioin dates. 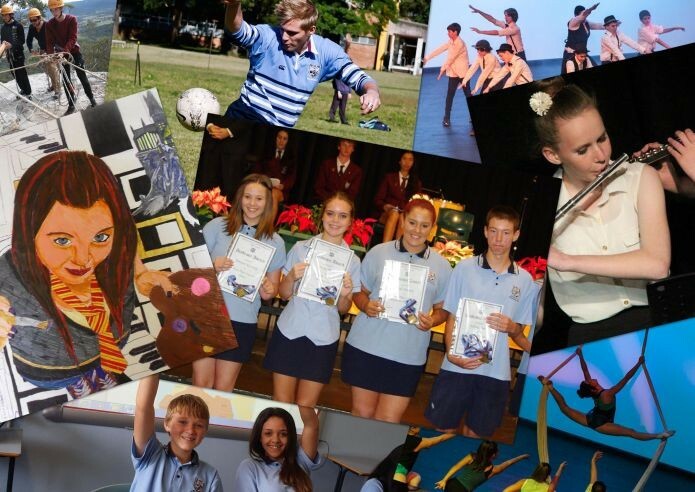 As a "Platinum Alumni" level Beacon School Nepean has been recognised nationally for our Careers program, which provides unique opportunities to explore career and tertiary choices. We offer a wide choice for students combining innovative and traditional areas of study. Nepean emphasises academic achievement complemented by a full range of creative and vocational courses. Situated in a picturesque 12 hectares, with a working farm which engages students from Year 8, our school enjoys modern facilities, including the purpose built Nepean Arts Centre, opened in 2013. Comprehensive sporting facilities and expertise lead to our achievements across the sporting arena. Travelling to and from school is easy as we are located within 250 metres of Emu Plains Railway Station.